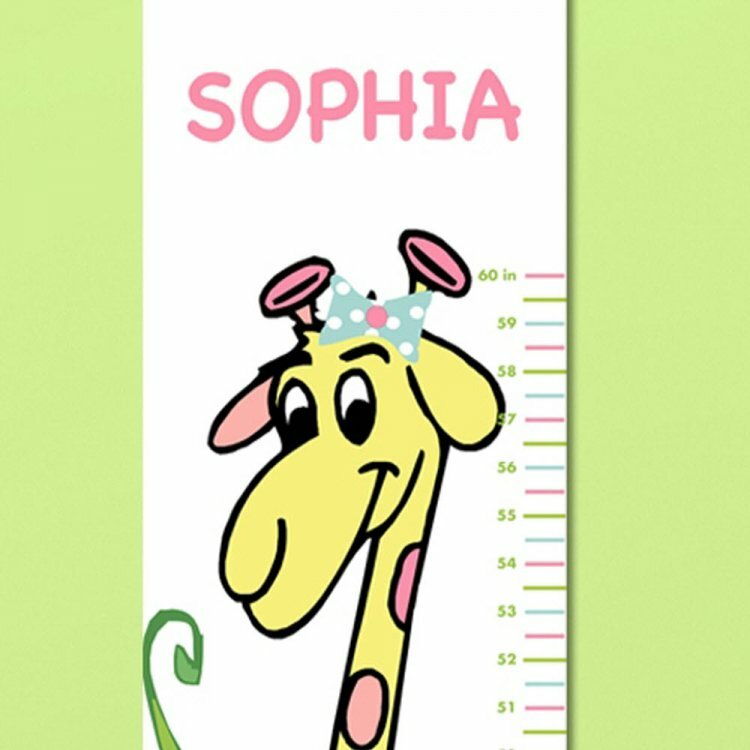 This personalized giraffe girl’s printed canvas growth chart is the perfect way to track your little girl’s height. The colorful canvas height chart features a playful pink and yellow giraffe next to a ruler style height chart that measures heights from 24 to 60 inches. Customize with up to 10 characters, with your kid’s first or last name, it makes a bright, personalized addition to a child’s bedroom. Please put personalization instructions in comment section exactly as it is to appear. Price: $39.00 In stock! - Browse this brand: JDS MarketingOur products are custom made to your specifications. This product ships up to 2 weeks after your order is placed.